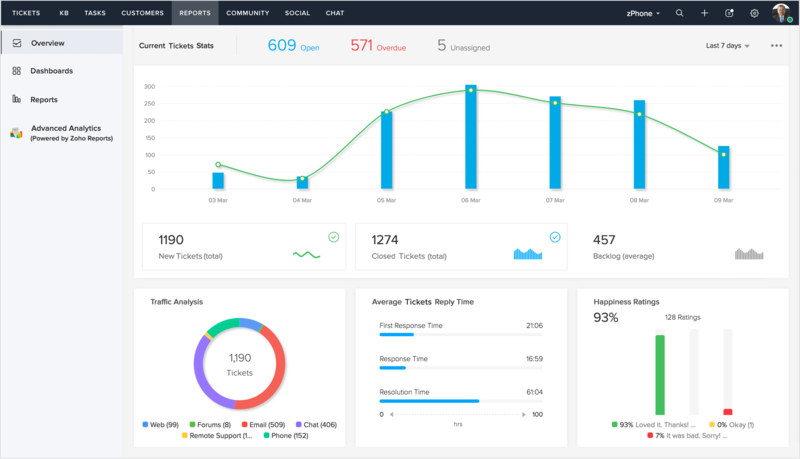 The ticket overview is the gateway to all the stats available to you. In a single screen, you get the big picture because all the metrics you want to see first are displayed here. This one's for the managers. Get all your stats together through the HQ, and see what your team is up to without having to switch between endless tabs. Because time is of essence. 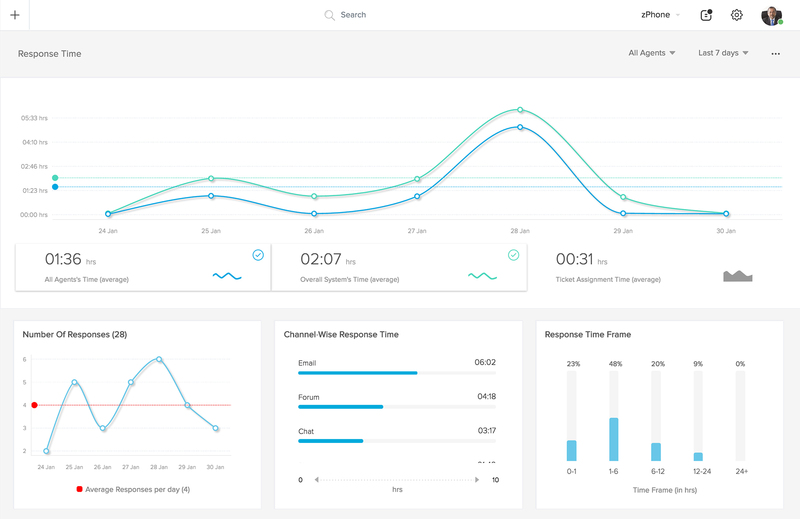 Zoho Desk gives you time-based reports, which include data like First Response Time, Average Response Time and Average Resolution Time. These can be filtered based on date, channel, and agent. Sometimes, keeping score can be good. 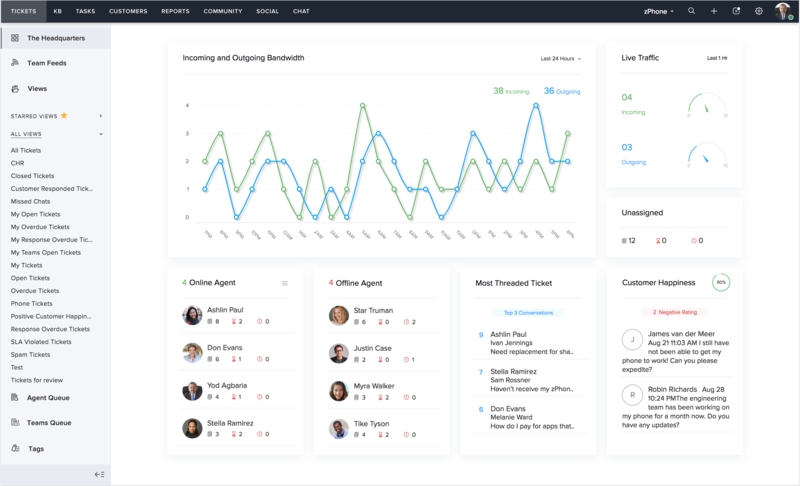 The Agent Scorecard tracks all agent performance parameters, such as average response time, customer happiness, ticket traffic, and expertise. All of this is displayed in a single screen, along with agent information and current availability. With Advanced Analytics, get access to all the pre-defined dashboards in Zoho Analytics. 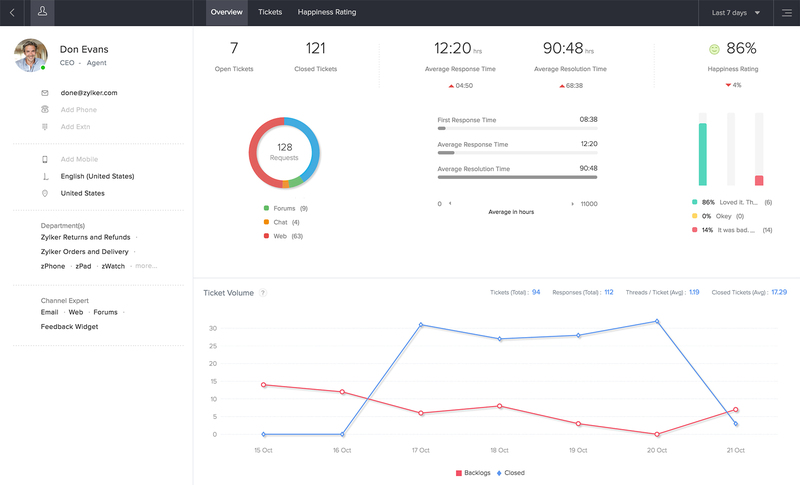 This integration also lets you set up your own dashboards and share them with your team. The Solutions Dashboard gives you the number of customers who have accessed your solution articles. This data can help you and your team improve your articles. Back your decisions with the right numbers.